← A Detail Lover Takes her iPhone to Carmel. O.k. some of you may be done with reading and seeing blogs about 2013 Pantone Color of the Year, but I really wanted to dive deep into how Emerald Green looked when applied to rooms. 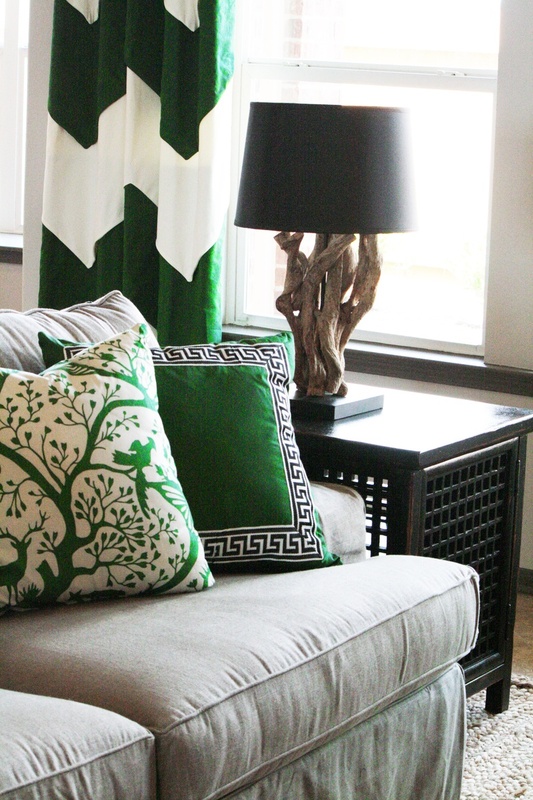 So here you have it, another blog about emerald green when used in rooms. Emerald on velvet cushions and zigzag drapes. Combined with a light french grey couch, white and dark brown. Bold and elegant palette. Image: Traditional Home. Interior Design: Christina Murphy. Even urban environments can enjoy classical touches. 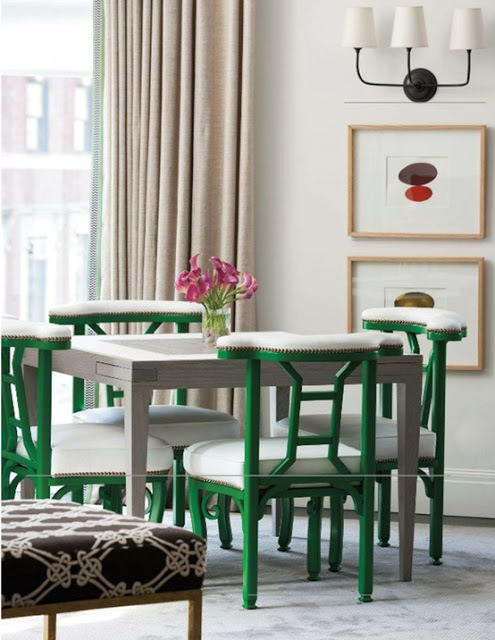 Christina Murphy places Emerald chairs upholstered in white. The nails make them even more sophisticated. Here another palette that includes light grey and chocolate plus some taupe on the curtains. Pink flowers and red artwork bring the space to live. I keep on running into beautiful stairs. The day we get a place, I will for sure focus on the stairs. They can be so much fun to design to. This beautiful green runner is complemented by dark flooring and white walls. 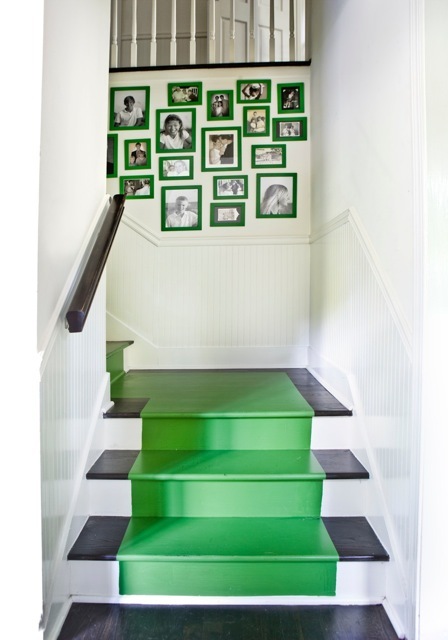 The green frames are playful and add a family touch to the space. This dining area not only displays a unique print of plates reminiscent of the work of Marie Daage, but also hosts a fun dining table. The Emerald chairs seem comfortable and the chandelier magnificent. Who doesn’t love an adobe house? I can picture this space someplace in Cartagena, Colombia. 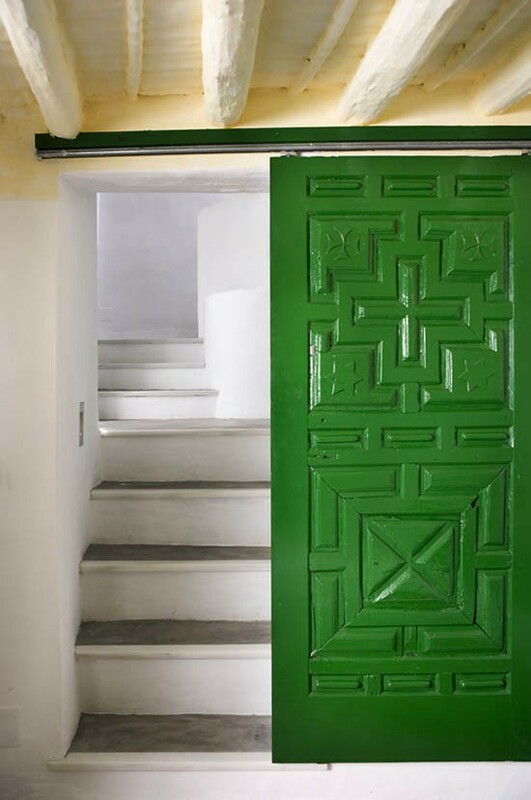 The pristine white walls serve as a perfect background for this Emerald sliding barn door. Rustic meets contemporary. 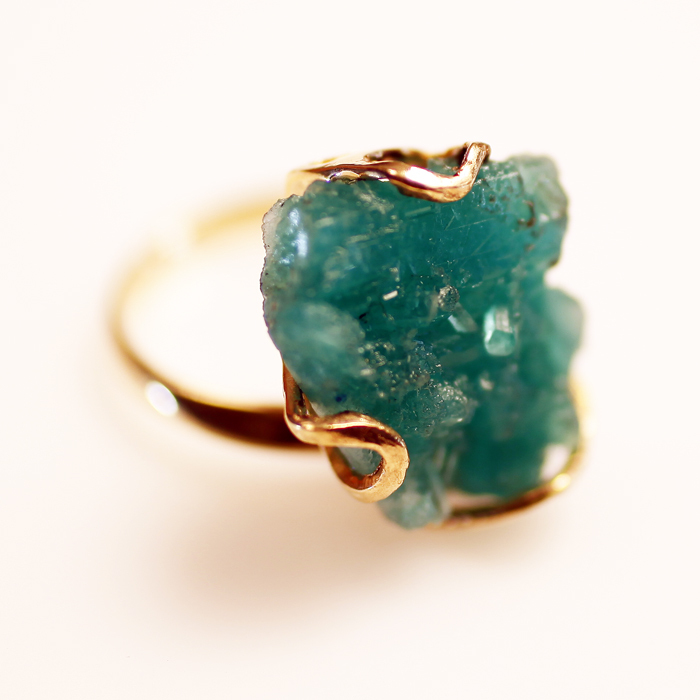 And I leave you with a Colombian Emerald ring because the fact that the most beautiful emeralds come from Colombia, makes 2013 a good year for Colombia.